The queer history project has some exciting news. The province has come on as a project sponsor through the Alberta Historical Resources Foundation – thank you province’o’mine, and thank you Culture Minister Heather Klimchuk, who wrote us a kind congratulatory letter. 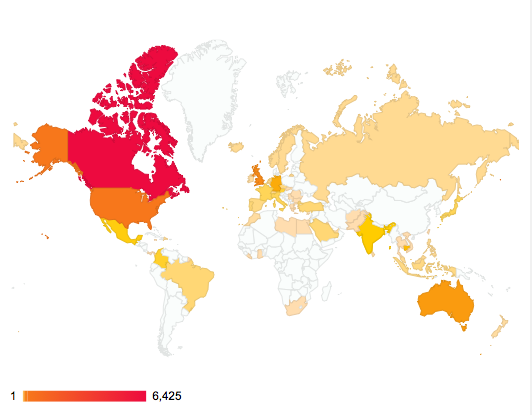 Since the project launched at last year’s Pride Week, there have been more than 7000 readers on the site including visitors from over 55 countries. We have had two incredibly well attended public presentations, and one amazing gay history walk as part of the international Jane’s Walk movement supported locally by the Calgary Foundation. The walk will commence from CommunityWise (formerly the Old Y) at 223 12 Avenue SW – an important building that was a focus for our city’s fledgling gay right’s movement in decades past. A current tenant there is Calgary Outlink, our queer community support organization, who also is an ongoing sponsor of the queer history project. Finally, we will have a table at this year’s Pride Street Festival, Sunday, September 1st. Come by, pick up a project postcard, and talk to us about queer history in Calgary – we would love to meet you. p.s. If you have not seen it, Stephen Fry’s open letter to U.K. Prime Minister David Cameron, calling for a ban of the Sochi Olympics is powerful. Closer to home Alberta queer right activist, Kristopher Wells, called for a similar ban in an Edmonton Journal editorial. “Top 50 LGBT Google+ Pages Worth Following“. This entry was posted in Uncategorized and tagged AHRF, Alberta Historical Resources Foundation, Calgary, Calgary Foundation, gay, Gay history, history, human-rights, Jane's Walk, lesbian, Old Y, queer. Bookmark the permalink.